Lace Work Half N Half Designer Sare..
Lace Work Cream and Turquoise Half .. Fancy Fabric Beige and Navy Blue La..
Lace Work Beige and Yellow Half N H.. 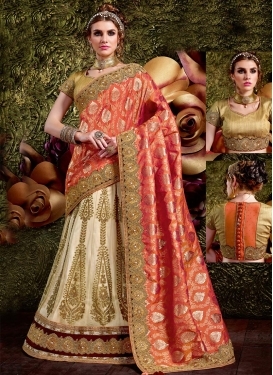 Fancy Fabric Beige and Orange Half .. 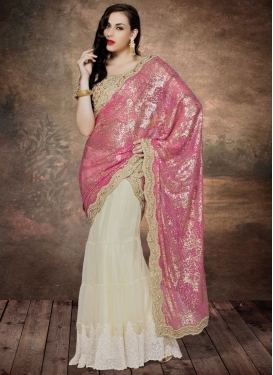 Cream and Rose Pink Lace Work Half .. Fancy Fabric Cream and Mint Green H..